The Frontier 179 is by far the head of its class. No other boat, at this length, boasts the beam of this rugged, wide bodied fishing machine. It was built to handle all types of water, even the big waters of the Great Lakes. 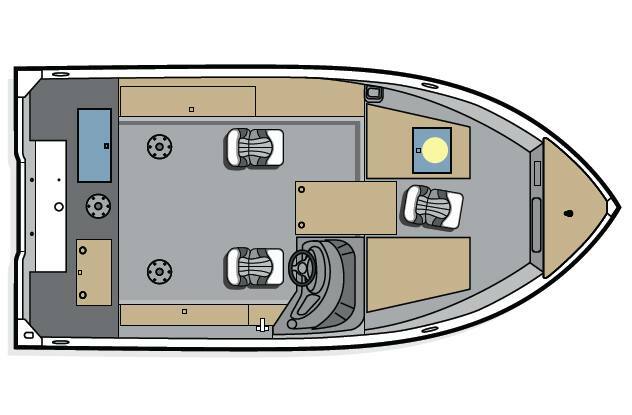 The longitudinal stringer system tying the transom to the bow of the boat gives you every confidence that this boat will keep you dry and safe in any situation. When it comes to reeling in the big haul, this boat won’t disappoint. Huge live wells, large fore and aft casting decks and ample storage makes this the perfect fishing companion.